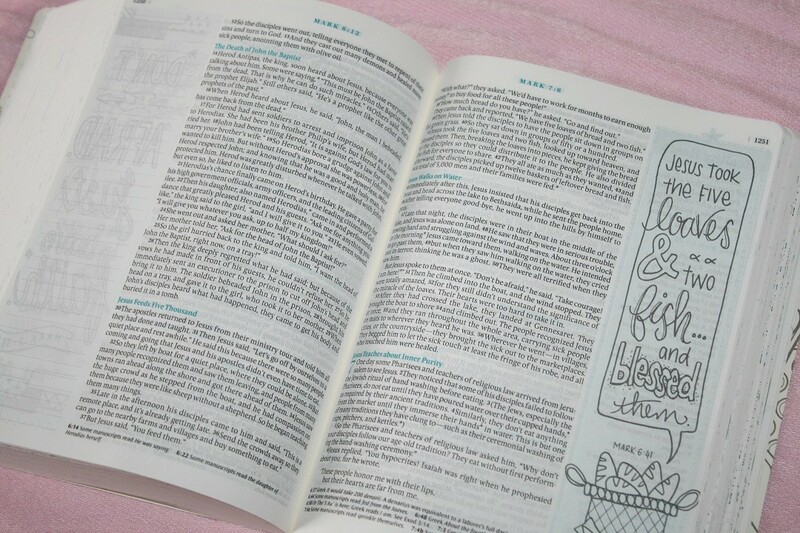 Tyndale recently released the NLT Inspire for Girls Bible. 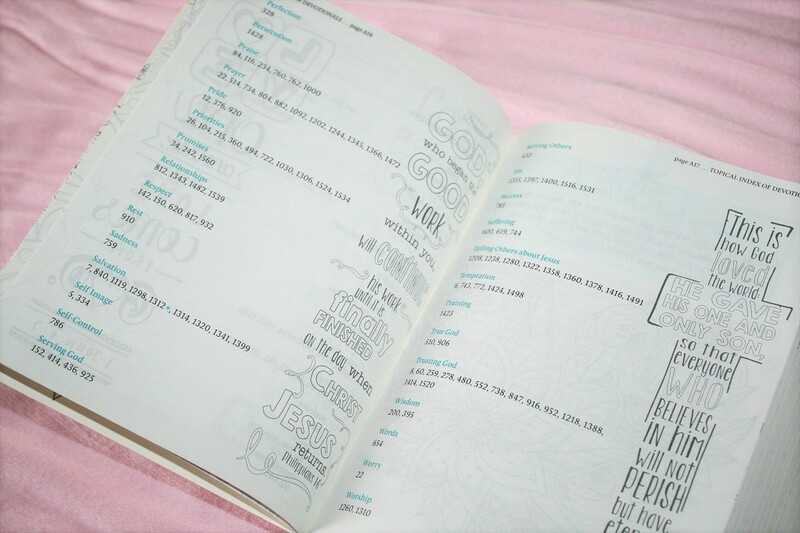 This beautiful journaling Bible contains many of the same features of the original Inspire Bible with lots of added features designed specifically for girls ages 8 to 14. 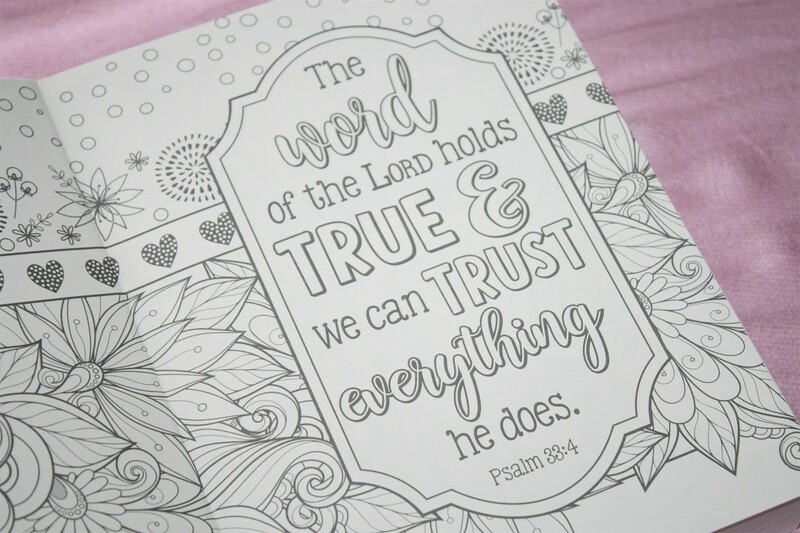 Marketed as the Bible for coloring and creative journaling it is designed to draw girls deeper into God’s Word and to inspire creativity and connection with God! The version we received is the softcover edition. 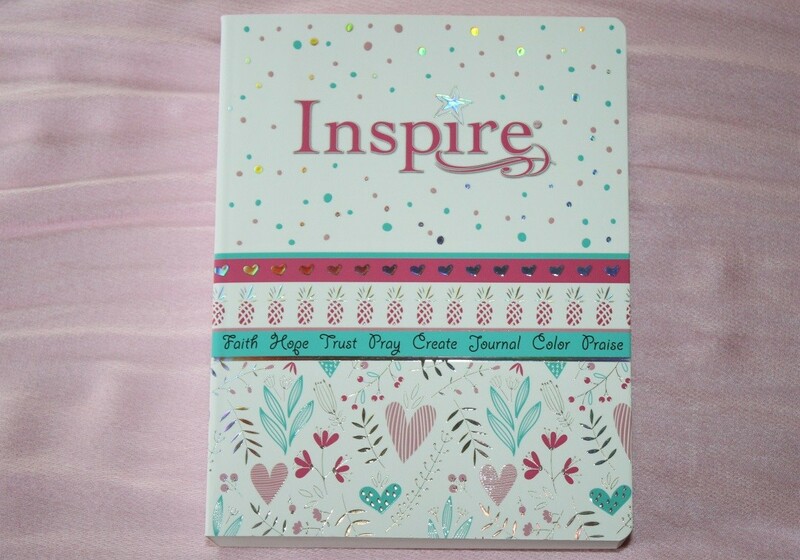 It has a thick pasteboard embossed cover in pink, turquoise, silver, and white and comes in a thin cardboard slipcover. It measures 7.875″ x 6.125″ x 1.75″ and weighs 2 lbs, 6 ounces. The paper is a soft white and approximately 38 gsm. 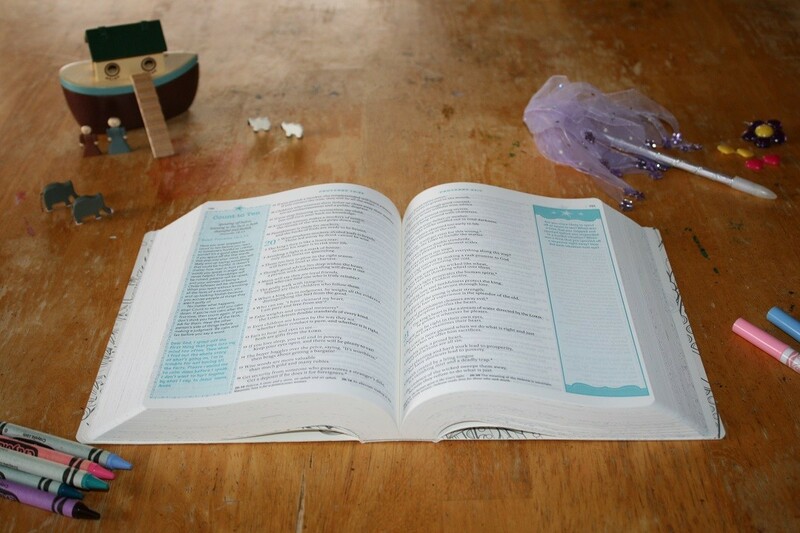 It has a glued binding. 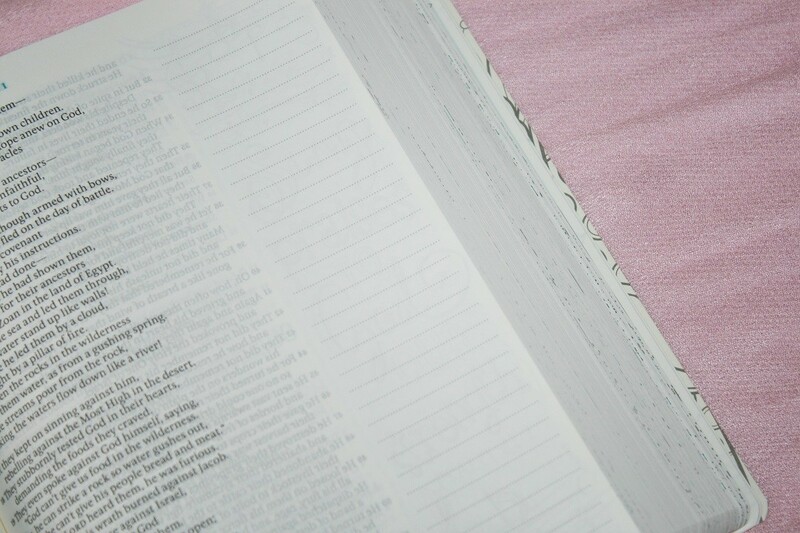 Several of the pages have lightly-ruled, two-inch-wide margins to provide open space for creativity. The pages are easy to turn and I find the soft white easier on my eyes for extended reading than a stark white would be. 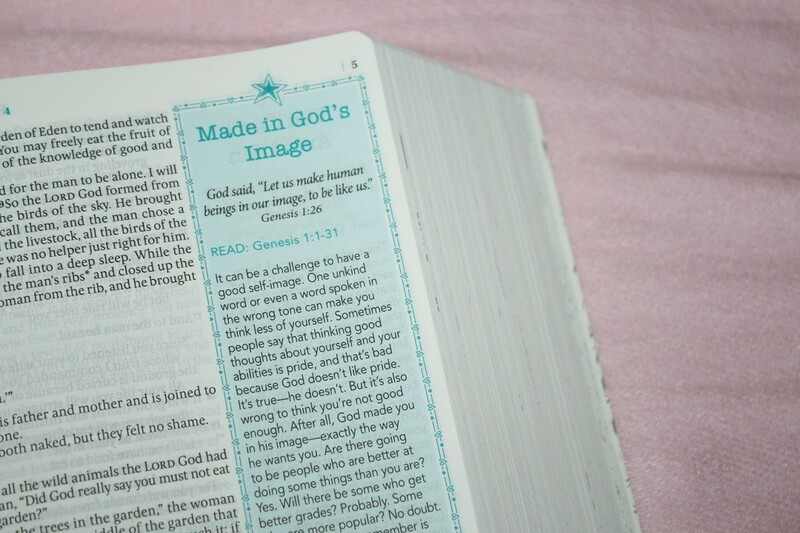 This Bible is also available in a light blue and silver leatherlike hardcover edition. It has an 8.65-point font and is laid out in single column paragraph format with the poetry set in stanzas. It is blackletter with book names, chapter numbers, and section headings in turquoise ink. Guide references are also in turquoise and are located in the center of the header with page numbers in black located in the upper outside corners. 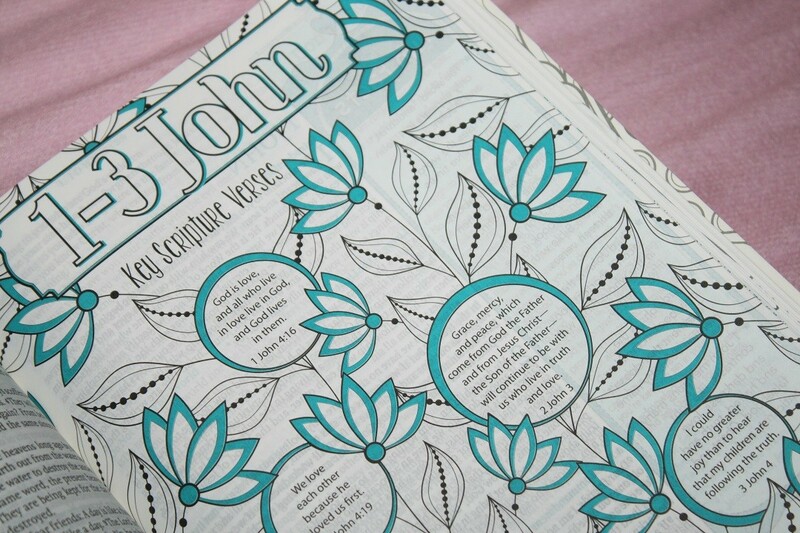 The Artwork is a major feature of any coloring Bible and this one has over 500 line-art illustrations. 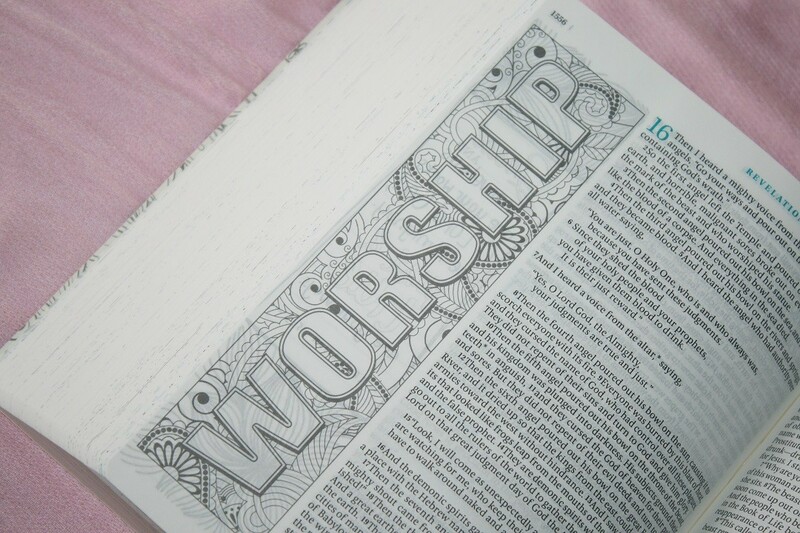 and over 75 of them were drawn specifically for this Bible. 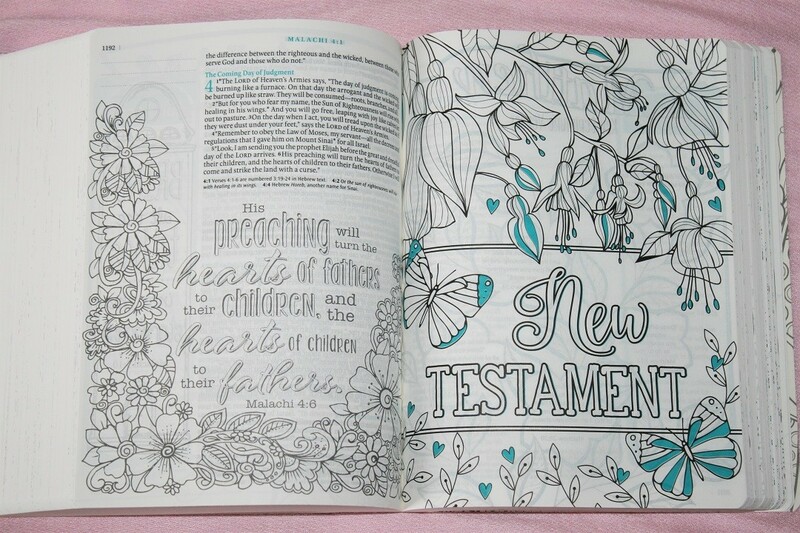 This mixture allows a young girl to color along with her mother, sister, or friend who owns one of the other Bibles part of the time while still having some artwork that is uniquely hers. 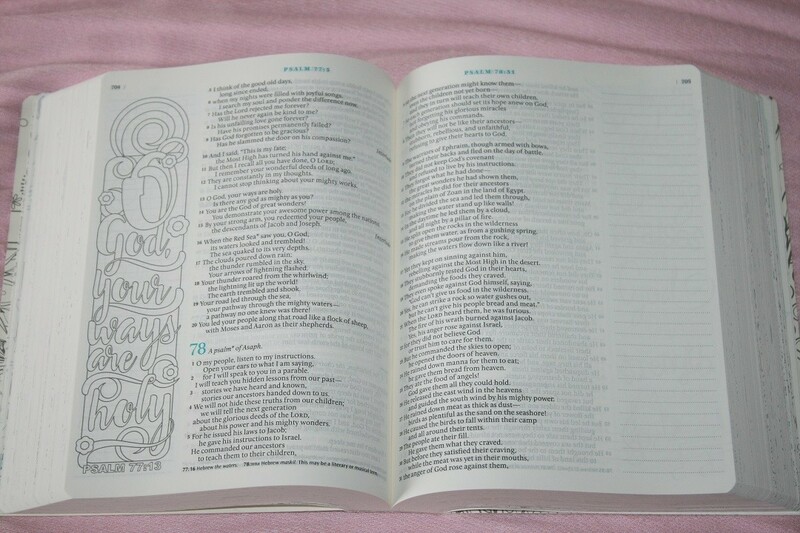 An index of designed verses is included in the back to make the illustrations easy to find. 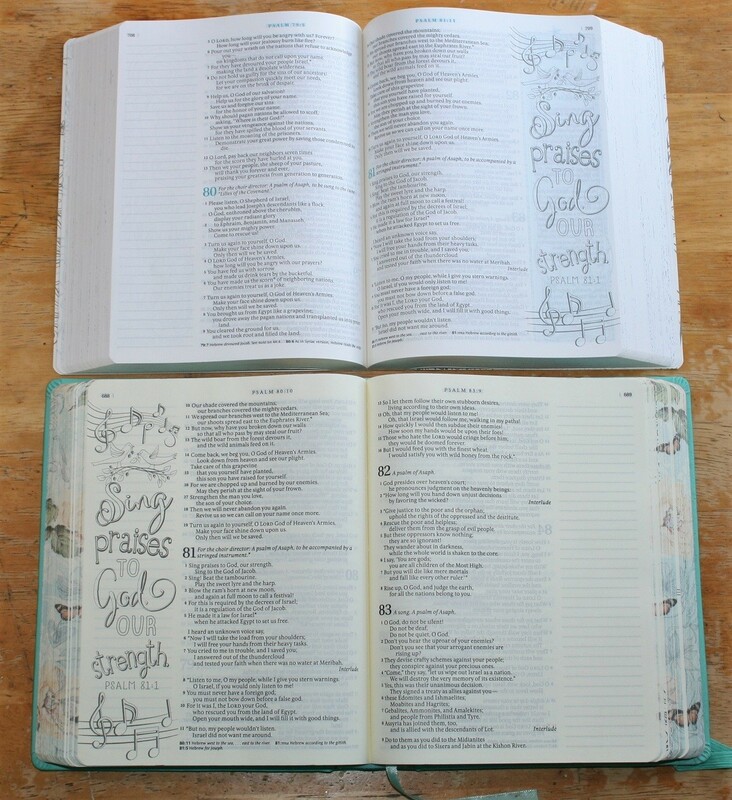 The Inspire for Girls Bible starts with welcome pages to help anyone new to Bible journaling feel more comfortable with writing and drawing in a Bible. 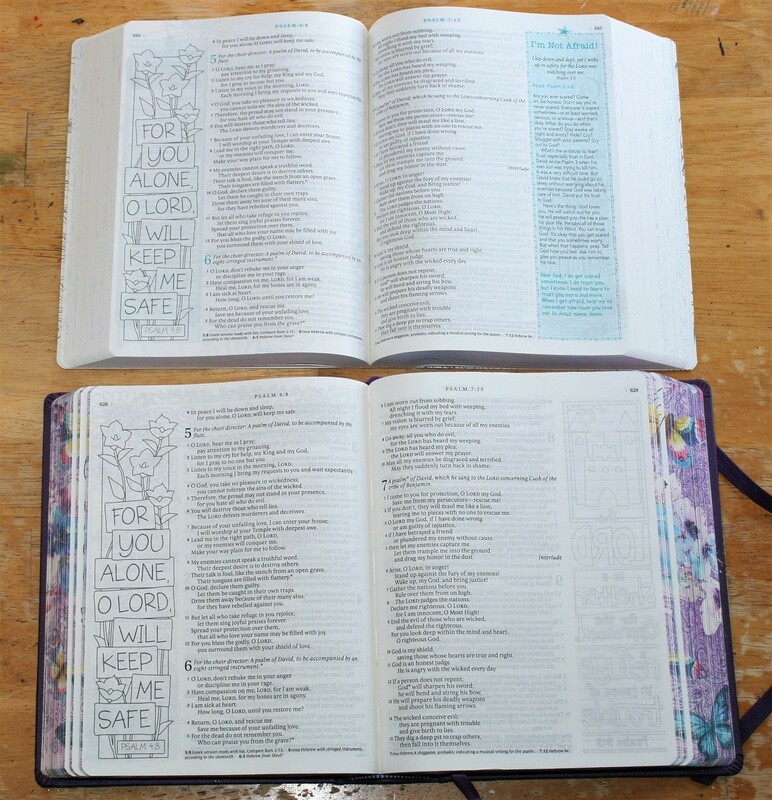 These pages include information about the Bible in general, and this version of it specifically, Bible Journaling Tips, Questions to ask as you read your Bible, and a prayer about growing with God. 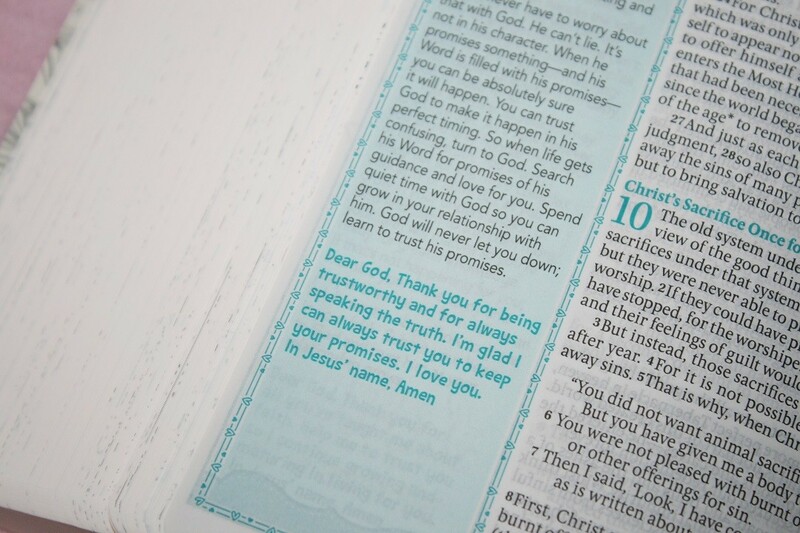 There are over 300 Devotionals written by author Carolyn Larsen. 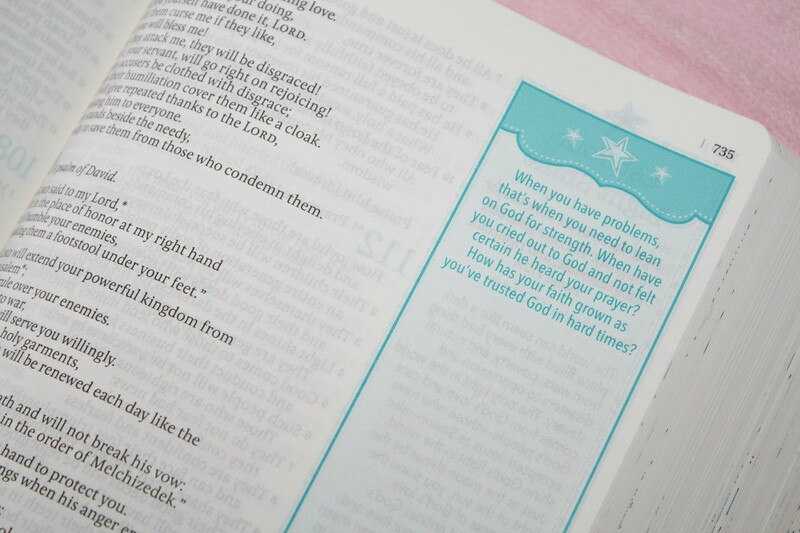 These quick devotionals are designed to help girls connect with God’s Word and apply it to their life. 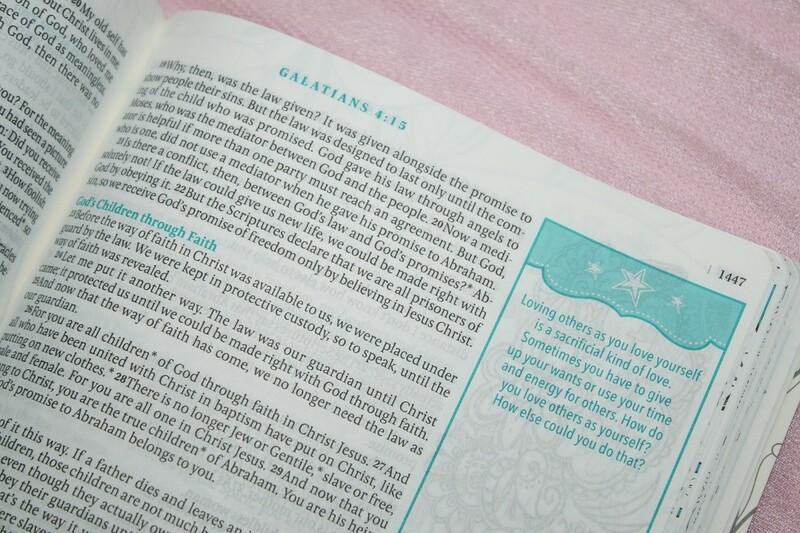 They cover a wide variety of topics from Abilities to Wisdom with many of the topics (such as Faith, God’s Guidance, Prayer, Telling Others about Jesus) having multiple devotionals. 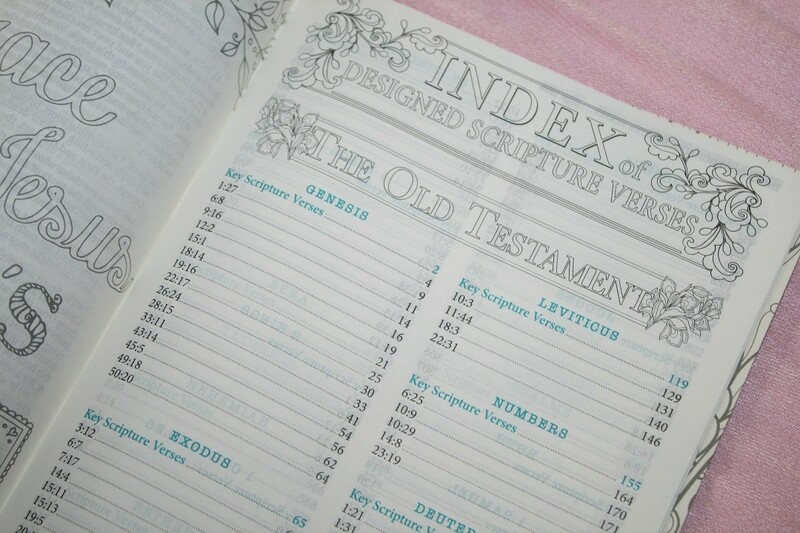 There is a 6-page topical index to the devotionals in the front of the Bible. There are also numerous Journaling Prompts. 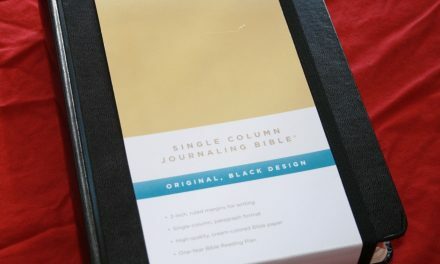 Questions about what the Bible means and how it relates to them with space to put their answers directly in their Bible. 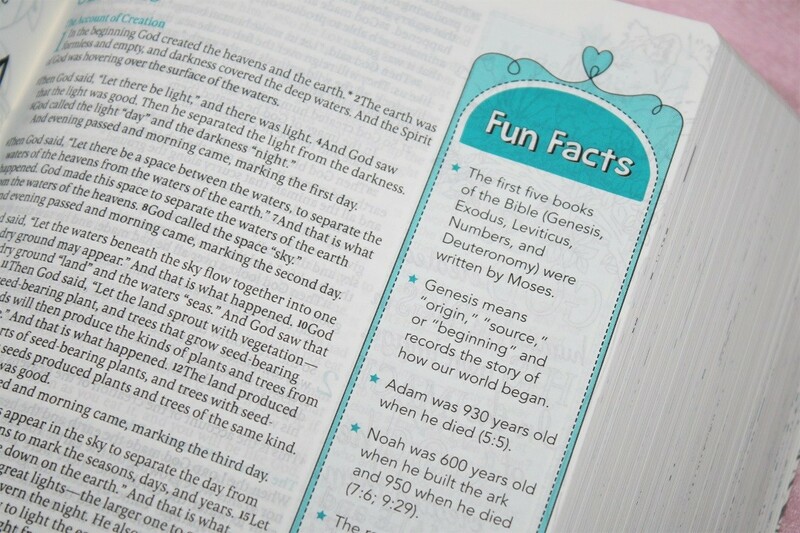 A Key Scripture Verses coloring picture and a list of Fun Facts and the beginning of each book draws attention to the major themes of each book and provides background information in an interesting and engaging way. Tyndale was nice enough to provide a copy for us to give to my young cousin, Sadie, who is in the suggested age range for this Bible. 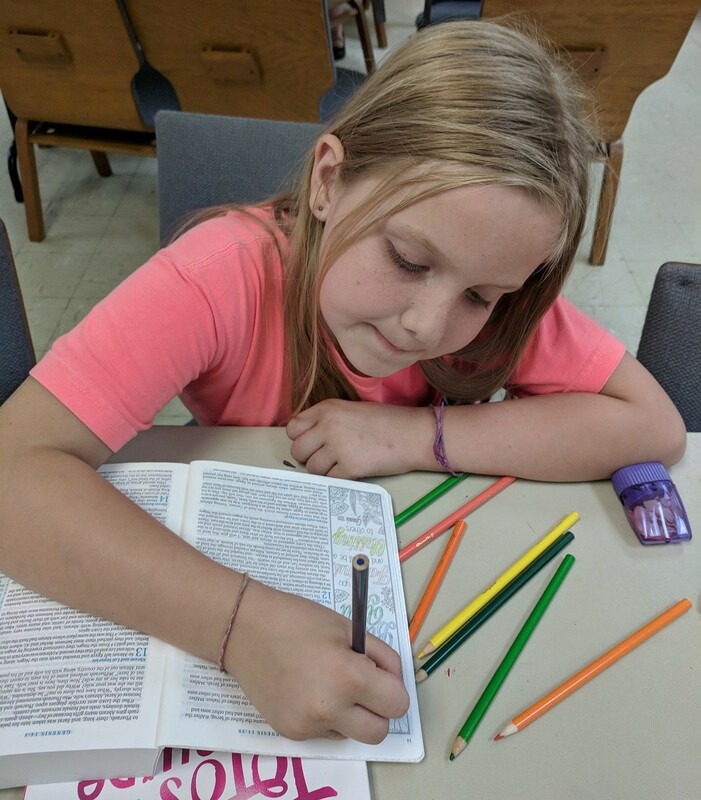 Sadie really liked that there was a little devotional reading and prayer for Genesis 12:1-9 because she was studying those verses with her elementary class at church. 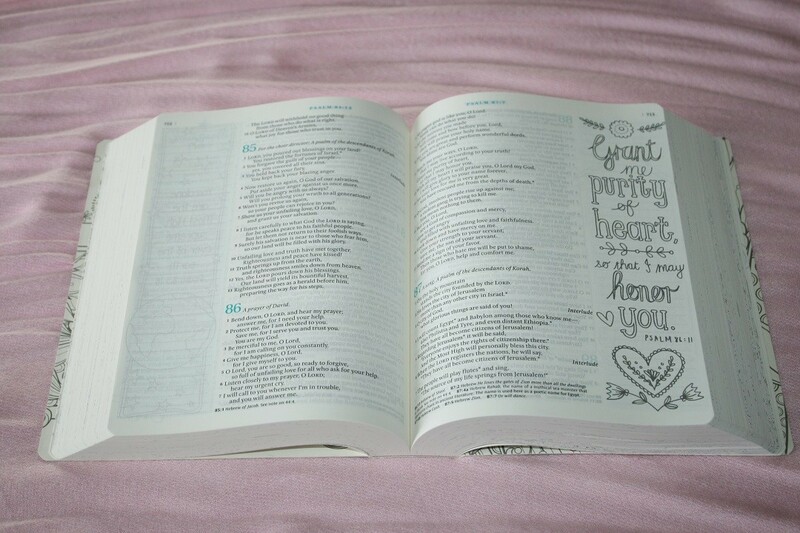 Sadie thinks this Bible is best for girls in 3rd grade and up. She likes the cursive writing in the coloring parts because it is so pretty, but she wouldn’t have been able to read that a couple of years ago because she didn’t learn cursive until partway through 2nd grade. She likes that it looks like an older kids Bible. This is her first “big kid’s” Bible that was hers first and not handed down. 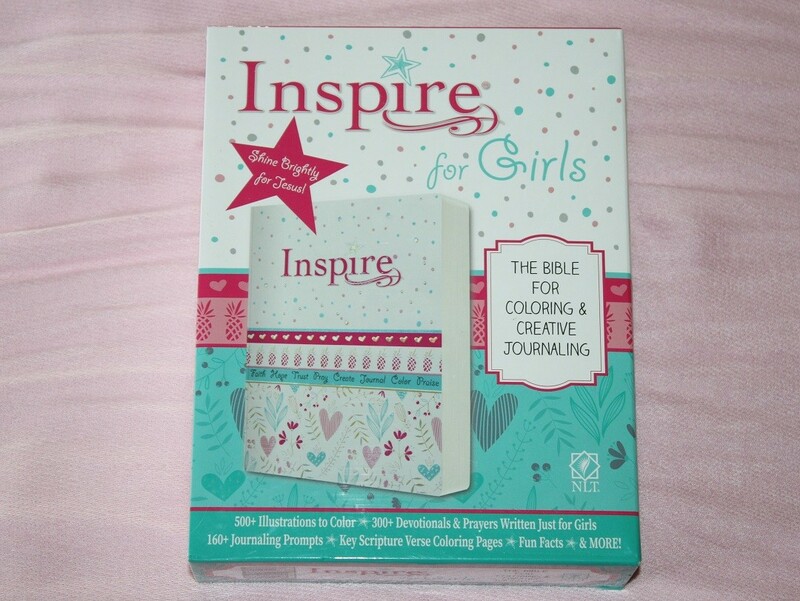 The NLT Inspire for Girls Bible would make a great gift for the young girls in your life. 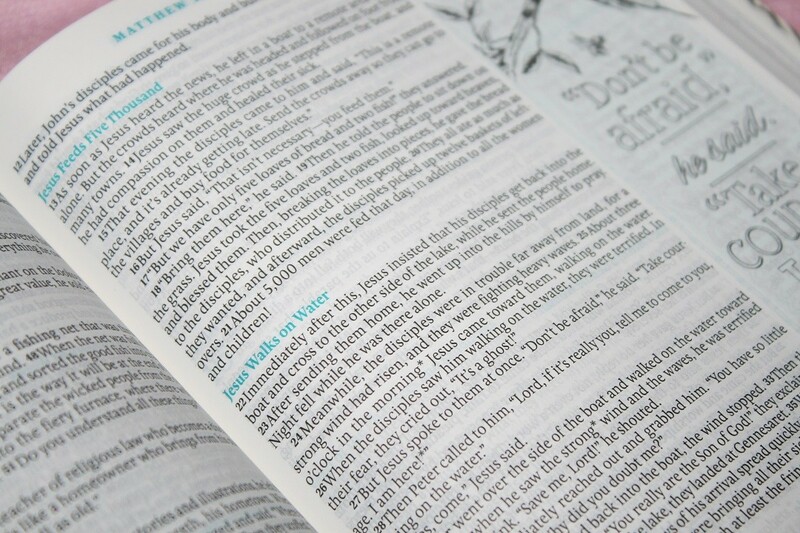 It makes it easy to encourage them to spend time reading and enjoying God’s Word. 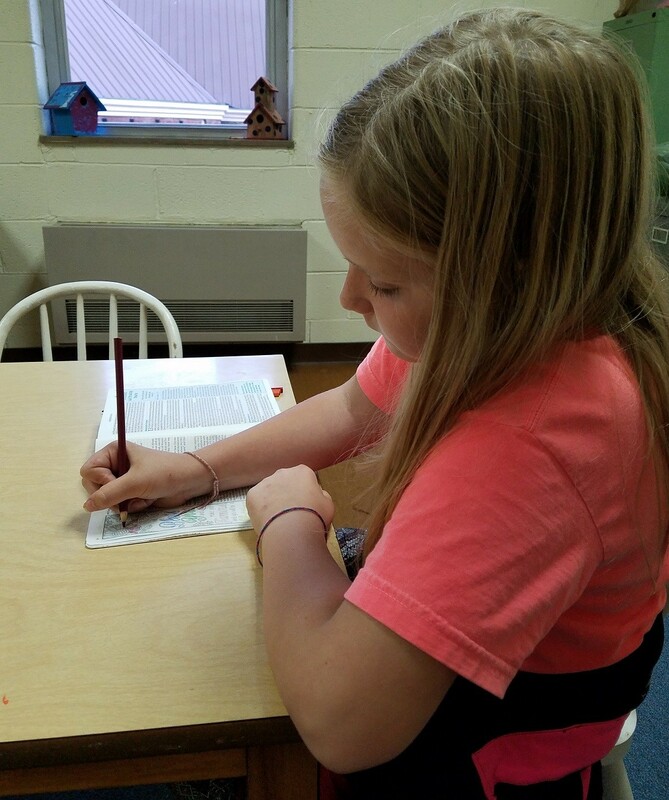 Its variety of features allows young girls to express themselves in words or pictures (or any other way they can think of to fill the blank margins). By inviting them to interact with God’s Word in a way that is comfortable to them it can help instill (or strengthen) a love of the Bible that will help them their entire lives.